Cotton Picker Fire in Cottonwood :: RickeyStokesNews.com! 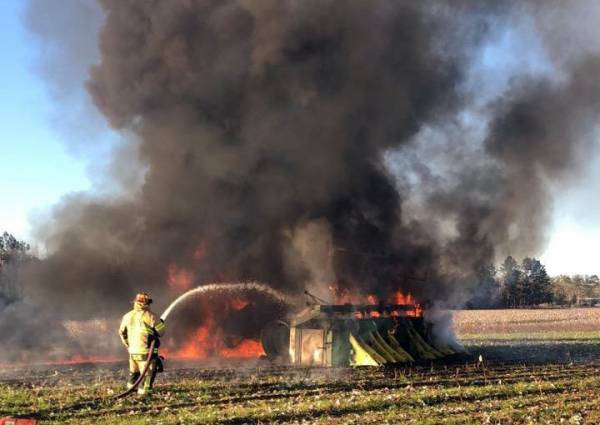 HOUSTON COUNTY: Cottonwood Fire responded to a cotton picker fire on Guy Branch Road. When units arrived they found it fully involved in fire. Firefighters were able to get the fire under control. The cause of the fire is not known at this time.